One of my favorite accounts is the Health Savings Account (HSA). 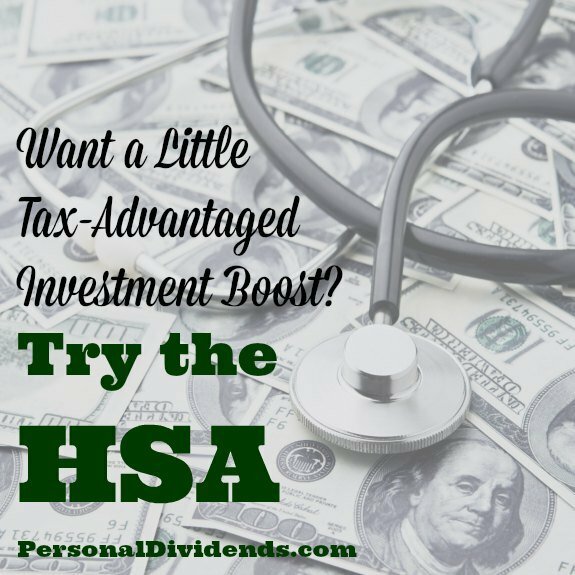 The HSA is a tax-advantaged savings account that provides you with a tax deduction now, and, if you only use the money for qualified expenses, grows tax-free to boot. It’s an account that allows you to save money completely tax-free — as long as you qualify for the account and follow the rules. The HSA is an account meant to help you pay for costs related to health care. You put money in the account before taxes, and it grows. However, in order to put money in the account, you need to have a high-deductible health care plan. Since it’s open enrollment season, it can make sense to see if switching to the HSA works for you. You can use the money in the HSA for any qualified health care expense without paying taxes on the money withdraw. If you don’t use the money for qualified health care expenses, then the HSA acts like a Traditional IRA, with the same 10% penalty if you not 59 1/2, and the requirement to pay income taxes on the amount you withdraw. This is where the HSA can be a great, additional tool for tax-advantaged retirement savings. One of the cool things about the HSA is that you have the option to invest the money you keep in the account. In many cases, the administrator of the plan has limits, though. Many banks and other institutions that allow you to hope HSAs require that you have at least $2,000 in your account before you can start investing in assets like index funds. So, once you have enough money saved up in your HSA, you can start investing it for the long-term if you want. If you want to just keep it in the “high-yield” account it’s already in you can do that as well, and call it the cash portion of your retirement portfolio. Retirement health care costs: This is actually my approach. Even though I could use the money in my HSA to pay out of pocket health care expenses now, and not suffer a penalty, I choose not to. Instead, I let that money grow. Later, when I am retired, I can use the HSA as the source for my health care expenses. Since health care costs are likely to be a big deal, it can help to know that I’ll be able to withdraw money from the HSA tax-free to pay those costs. Retirement income: Another option is to use the money in the HSA as retirement income, in addition to the income from your other accounts. The HSA is basically a Traditional IRA when you aren’t using the money for qualified health care costs. You can begin withdrawing money when you are 59 1/2, but if you just use the money for income, it is going to be taxed as such. In either case, it’s possible to use the HSA as a way to give your retirement savings a bit of a boost. For 2015, a family can contribute $6,650 to the HSA, and an individual can contribute $3,350. That money is a tax deduction, so that can be another way to reduce your tax liability. Plus it’s a bonus that it will grow tax-free, assuming that you don’t use the money for non-qualified expenses. If you’ve maxed out your other tax-advantaged accounts (and maybe even if you haven’t), it can make sense to consider the HSA, as long as you can handle the higher out of pocket costs that come with a high-deductible plan.